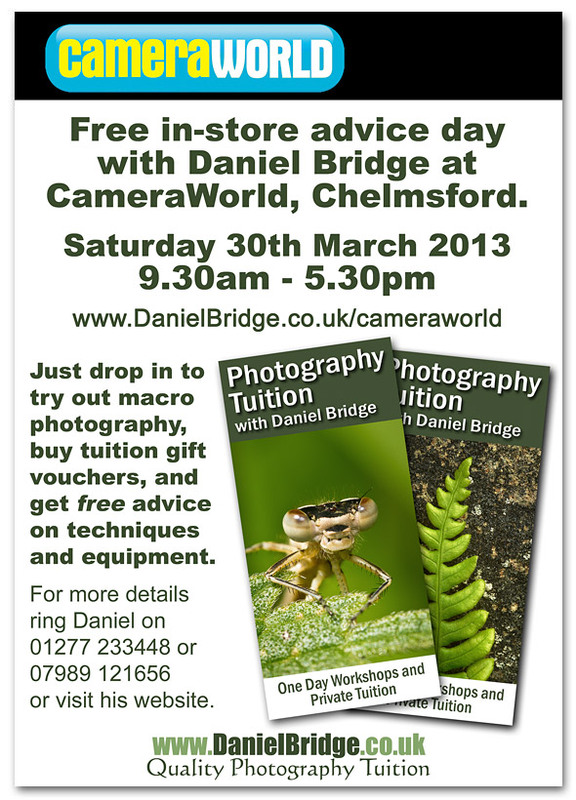 I'm going to be at Cameraworld in Chelmsford again for another Free Advice Day on Saturday 30th March 2013, from 9.30am to 5.30pm. It's a drop-in day, when you can just come along and ask me anything, whether you're stumped regarding a particular subject or technique, or need some advice about equipment, or just want to re-cap something that we covered on a workshop. No need to book, just turn up! Click the image below to take you to more details about the day.